Ecotoxicology is the evaluation of toxic effects within the environment, typically within one specific ecosystem, like a forest, stream, or lake. For years now, ecotoxicological studies have tended to focus on one toxicant at a time. But that isn't how an ecosystem encounters toxicants (or stresses): there may be several elements at work in the air, several more in the water, and still more already within the soil of any given ecosystem, and all have some level of toxic influence on that ecosystem. 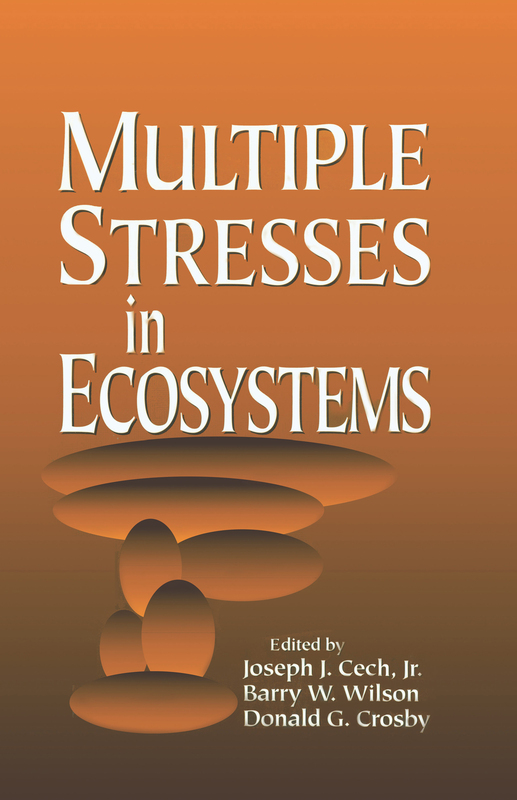 Multiple Stresses in Ecosystems presents the state-of-the-art in determining the effects of these multiple impacts upon ecosystems. Resulting from a vanguard conference originally held in 1993 at UC Davis, this new work is divided into three sections that present methodolgies for assessing the health of an ecosystem; the effects of multiple toxicological impacts upon an ecosystem, and which tools are worth using to assess these dangers. Environmental scientists, chemists, toxicologists, risk analysts, and probably the entire membership of SETAC will find need for this book, as will wetlands scientists, ecologists, and research biologists. Biomarkers: Are There Linkages to Ecological Effects?